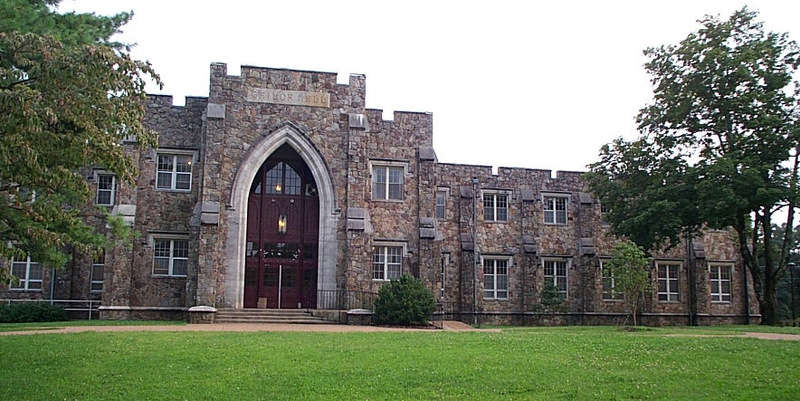 This beautiful small liberal arts college campus, located in the rural foothills, has a quite stable inventory of stone-clad buildings as well as a very progressive desire to conserve energy. As part of the early planning for the college's new dining hall, a study was done to investigate the value of a chilled water plant to serve the heart of the campus, resulting in the construction of this facility in 1999-2000 for a cost of $1 million. The plant is located on the ground floor of an existing building. This is the most recent, and smallest, campus cooling plant designed by OGCB, Inc. Other central cooling plant design assignments have been for University of Memphis; University of Tennessee, Memphis; University of West Florida; Pensacola Junior College; State Technical Institute - Memphis; and the 2,000 ton addition to the NASA Launch Complex at Cape Kennedy.